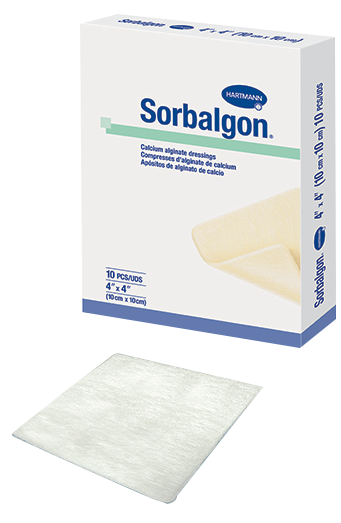 Hartmann Sorbalgon® Calcium Alginate Dressing is a soft, highly absorbent dressing that quickly forms a hydrophilic gel to protect and cover the wound bed. Water evaporates from the gel, helping to keep wounds clean. Holds its form even when wet for easy removal and dressing changes. Absorbs more than 14 times its weight. Holds its form even when wet.